Building on the success of the company’s highly acclaimed DN Series product line, Klark Teknik has added the new DN200 Multi-Mode Stereo DI box to its product portfolio. The DN200 Dual-Channel Active DI Box delivers the connectivity and exceptional audio performance customers have come to expect from KLARK TEKNIK plus some innovative new features. Housed in a robust alloy case, and further protected by a replaceable silicon sleeve, the DN200 features inputs on pairs of XLR, TRS and RCA sockets, plus a switchable 20 dB pad and ground lift switch. The new DN9620 AES50 Extender has also been added to its product portfolio. A 1U, half-rack width AES50 extender, the DN9620 accepts two CAT5 AES50 streams, multiplexing up to 96 bi-directional channels of 24-bit audio via a single fibre-optic cable (up to 500 m), or a single CAT5E cable (up to 100 m). With its astonishingly low input-to-output latency at a mere 0.105 ms, the DN9620 can be operated at 96 kHz or 48 kHz sample rates and provides multiple clocking options. Utmost reliability is ensured thanks an integrated auto-ranging power supply and genuine Neutrik EtherCon and OpticalCon connectors. The DN9620 overcomes the inherent limitations of CAT5 cabling, which limit cable runs between AES50 devices to 100 metres (330 feet). MIDAS and KLARK TEKNIK Brand Development Manager Richard Ferriday explains: "The DN9620 serves many functions. 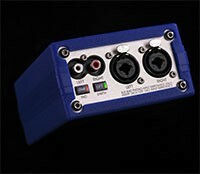 It will operate as an optical snake system for any MIDAS, or other digital console which uses the AES50 protocol, it will provide long-haul, optical connectivity between I/O boxes, as well as extending the deployment possibilities of I/O, recording, and other AES50 hardware throughout a building, or campus." 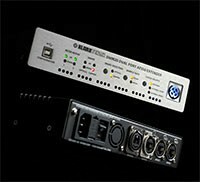 AES50 is an open-architecture digital audio transport protocol which benefits from extremely low latency. The DN9620 will be shipped in pairs, complete with a dedicated 19" rack mounting bracket. See these and more exciting new Klark Teknik products at PLS Frankfurt Messe, Hall 8, Booth M90, April 10 - 13.